Disclaimer: This is a lazy battle rep of my friend and I learning the rules of 40K. Three power armours start wheezing and humming as their occupants set off through the bleak, cloudy horizon, travelling a dark and solid ground akin to a dried river bed. The medicae systems have already begun healing the Space Marines’ wounds, suffered in their spaceship’s crash-landing on the unknown planet. It doesn’t take long before the trio spots a group of humanoids in the distance, walking through the spaceship wreckage. Due to the nature of their universe, the troops ready their weapons and advanced carefully. Don’t mind the giant in the background. Meanwhile on the other side of the battlefield, muscles tense up and instincts kick in. A flash of light piercing the sky and a giant battleship breaking apart in the atmosphere caught the attention of a clan of Xenos already present on the planet. This small group of savage brutes now make their presence felt by bellowing belches of excitement at the sight of possible adversaries – Orks love a good fight. 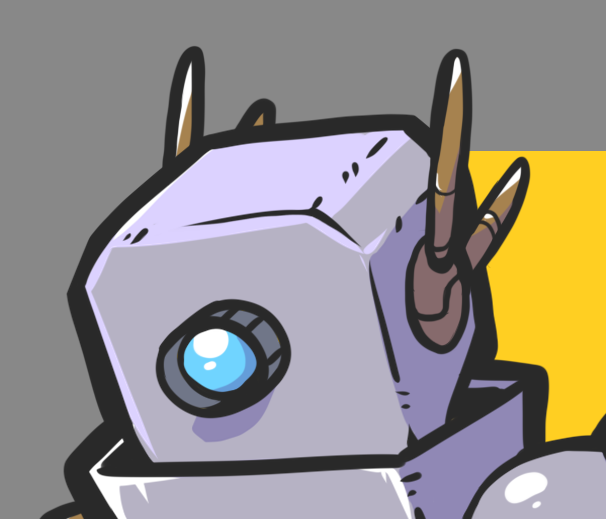 The armors’ auto-senses warn their users of the tangible threat and the space marines immediately respond. Maximus, holding his weapon in one hand, starts dashing to his right, followed by his comrade Korias. Instinctively, they immediately seek out cover. Perhaps due to the fact that he crash-landed on an unknown planet after traveling through a Warp – an experience that would drive most lesser men insane – Ezekiel the sharp-shooter instead moves to his left, foregoing the support of his chapter brothers. He seeks out an open and clear field of vision to get a better view of his targets. The Orks, over-excited by the prospect of battle, charge ahead towards their target, cocking shootas and readying big boomas. The two assault-oriented battle-brothers safely behind cover and holding the right flank, assess the situation, while the more bold warrior lifts his Stalker bolt rifle and starts taking shots at the advancing menace – with little success. The over-aggressive brutes, over-excited by the sound of bullets flying past their heads (and even connecting, deflected by their cheap but effective makeshift armor) now forego what little caution their brains allowed them to have and charge full-speed ahead, eager to close the gap between their opponents and let them know just how sharp their choppaz are. The biggest, baddest brute however didn’t get to grow this side by being a simple-minded murderous beast. It quickly darts to its left to take cover behind some wreckage, bringing with him “Little One”, his favorite meat-shield. All the while, the other Boyz charge ahead, unleashing a hail of bullets and grenades, and sending rockets flying around wildly… that do little to the Space Marines – either missing them completely, or being deflected by the state-of-the-art armors. The unthinking beasts however quickly start falling to a master-crafted boltgun, expertly handled by Maximus, a soldier with a few hundred years of combat experience. It’s at this moment that the Ork Nob decides to pounce on his target – or rather, decides to push his meat shield in the fray. Maximus being busy taking down Orks with bazookas and grenades, a Xenos brute slips past him to engage Korias in his favorite activity: melee combat. Ezekiel, seeing that his chapter brother is about to be caught in a pincer attack, aims at the flanking Orks and zeroes-in on “Little One”, who is wearing little to no armor. He mutters a prayer to the God-Emperor of Mankind, and squeezes the trigger. Little One’s corpse falls limp to the ground. The Nob, seeing his favorite Ork to bully fall to the ground lifeless, loses what little sense of tactics his primitive brain could contain, and dashes forward to tear some flesh and get some revenge on the Space Marines. Seeing the Xenos threat almost completely handled already, Maximus dashes forward to engage the Nob boss. Both creatures of muscle and violence, both leaders, both killing machines. Korias steps back and lets his commander engage his target, and watches an expert in action. The Ork Nob was able to catch the Space Marine sergeant off-guard and almost impale him with his Klaw. However, Maximus has suffered worst wounds in his life and uses the Ork’s moment of false triumph to bury his power sword deep in the beast’s chest, felling it. The Space Marines regroup, reload, clean their wounds, and continue on. Besides Maximus, only Ezekiel suffered a scratch from some rocket shrapnel. I’d love to, maybe down the line! I have a lot of lore to read haha!